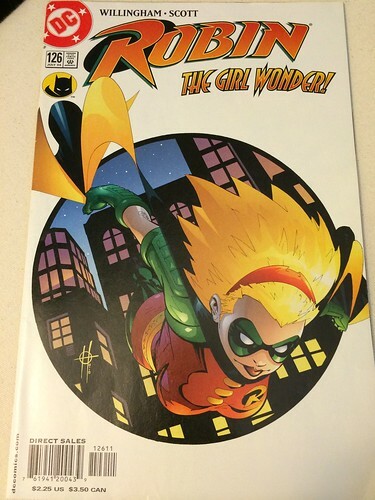 I’ve chosen my costume for Baltimore Comic-Con this year. 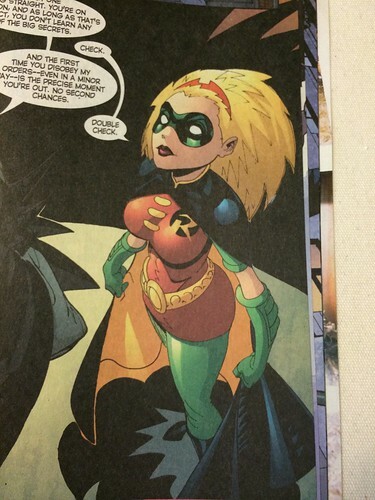 I’m going to make a Robin IV costume, aka Stephanie Brown from the Batman comics. So far I’ve done a couple things: purchased red and green double knit fabric, purchased a patch for the logo on the dress, and made green leggings. The leggings were an adventure. 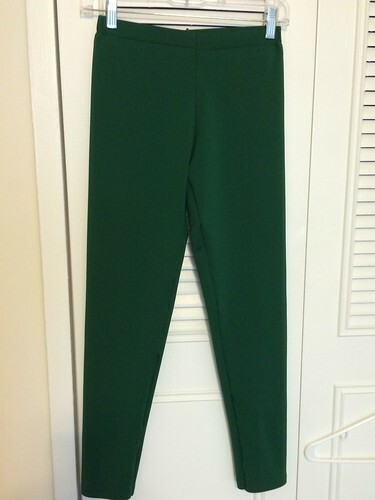 I did several things that I’m just learning how to do: work with knit fabric, use a cover stitch machine, use the straight stretch stitch on my conventional machine, serge through elastic, and fit a pants pattern. I wanted to throw in the towel a couple times, but I stuck with it and now I have a pair of pants! It’s funny that I’ve sewed so many garments but this is only my second pair of pants. I used McCall’s M6173, but I had to modify it to take out some width and add some length at the waist. And here is the logo patch, which I got from 8-Bit Spock on Etsy. It’s a very nice quality. 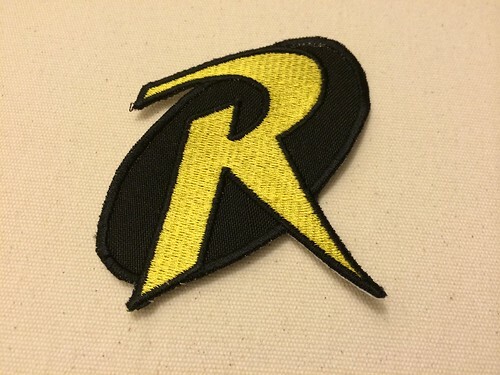 I’m going to work on finding some yellow fabric that matches the color of this patch, from which I can line the cape. My plan is to work on the dress next. I hope my cover stitch machine doesn’t eat me in the process.